The name Contador is synonymous with cycling. One of only six cyclists to have won the Grand Tour of cycling (the Tour de France, Giro d’Italia, and the Vuelta a España), his impact on the sport is formidable. Perhaps that’s what we should expect after two decades on the bike. But there have been challenges. At the age of 21, Contador fell during the Tour of Asturias race and went into convolutions caused by a hemorrhagic stroke. It took him eight months to return to the bike. Polartec is proud to support Contador’s efforts to spread to the sport of cycling. 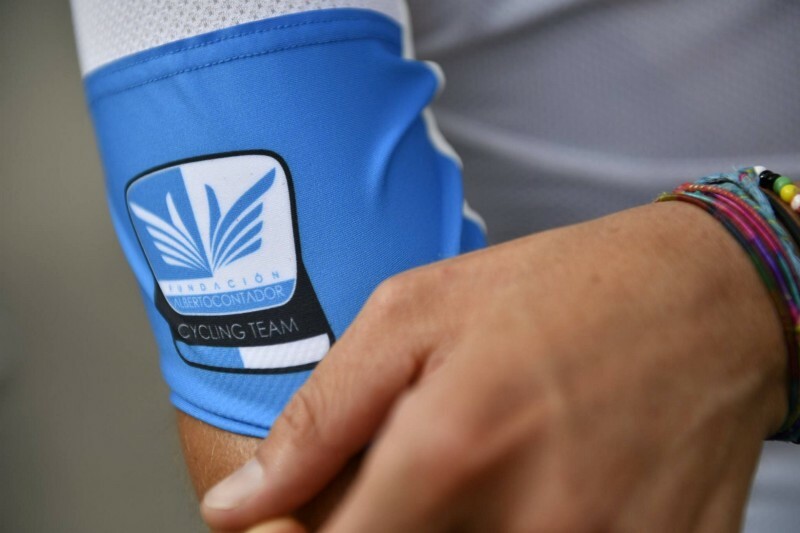 The Fundación runs two development teams, one junior and one Under 23. Overseen by Alberto’s brother Francisco, the young riders on these teams have a special opportunity to develop as athletes and individuals. For the Fundación Contador teams, the training doesn’t stop in the offseason, but it does change. 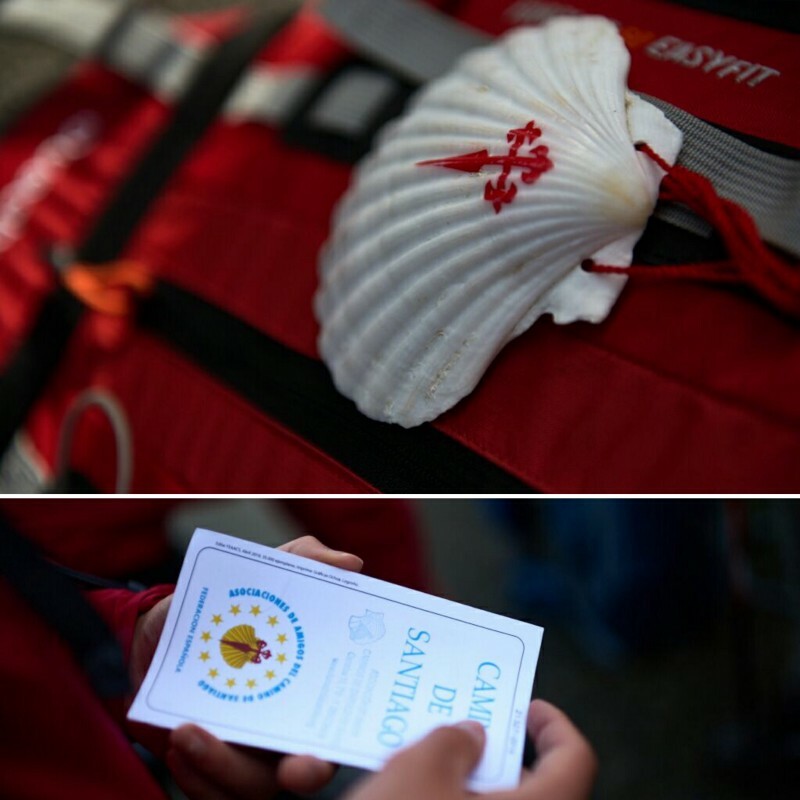 This year, Francisco and Alberto saw a unique opportunity to challenge the young riders: hike the Camino de Santiago. For four days in December, the team followed this centuries-old trail on foot. 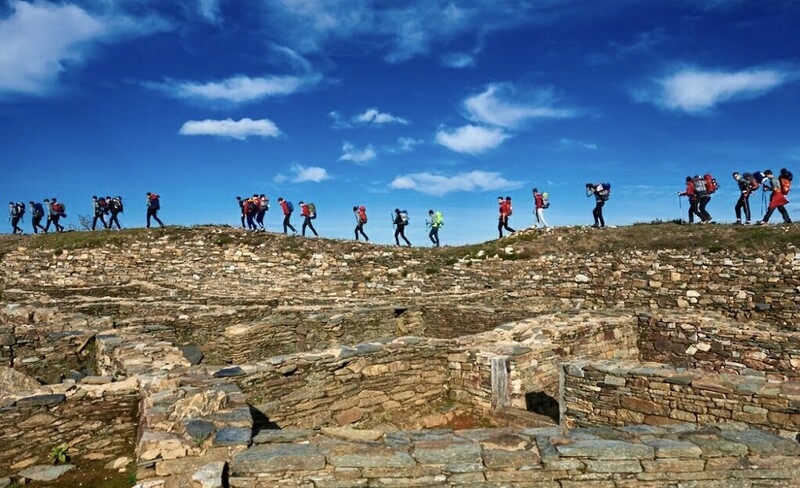 Outfitted in waterproof Altra shoes, 66North NeoShell jackets, and a Power Wool baselayers, the athletes had what they needed physically to complete the 100 km necessary to get “The Composela,” the official certification given to all who complete the St. James Way pilgrimage. One of the key rules of this challenge: no mobile phones. With young riders from all over Europe, the Fundación team needed to start working together from the beginning, regardless of language barriers and different backgrounds. Together in the Spanish countryside for hours, making progress towards their final destination step by step, the growing camaraderie was palpable. The riders have everything they needed physically, but to mentally succeed on this journey, they needed each other. 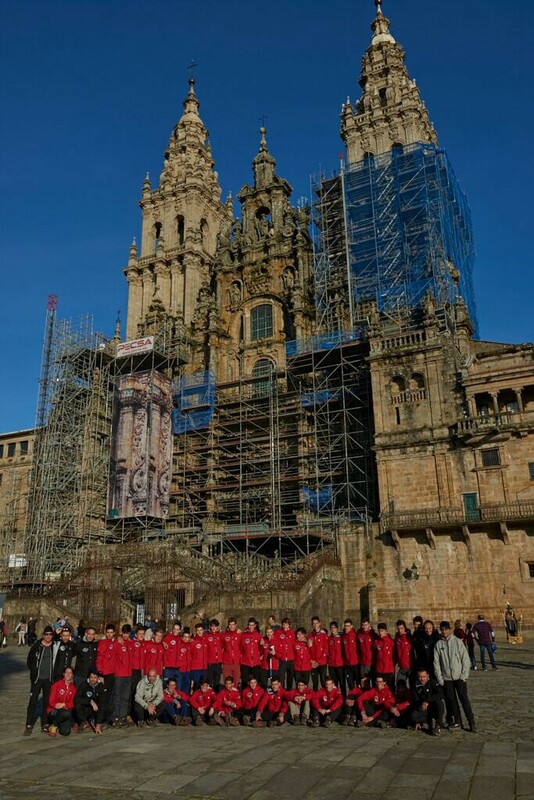 On the final day, with blistered feet and sore shoulders, the team arrived in Santiago de Compostela together. Together, they overcame the challenge of the Camino de Santiago. When the athletes get back on their bikes, and their coaches begin to plan a long year of training and competition, they will have uncompromising confidence in their ability to conquer challenges on and off the bike, both as individuals, and more importantly, as a team. Fundación Alberto Contador is more than a non-profit. It is a mission to improve lives on and off the bike. The Camino de Santiago was the perfect place to see that improvement. Young riders, away from their bikes and mobile phones, followed the footsteps of millions before them to Santiago. Their pilgrimage was about more than earning the Composela. It was about ending a journey stronger in body and mind than when they began. To see more of the team’s journey, follow Fundación Contador Team on Instagram, Twitter, and Facebook. To witness how Polartec’s fabric innovation is changing how people conquer old and new challenges, keep an eye on Instagram, Facebook, and Twitter.